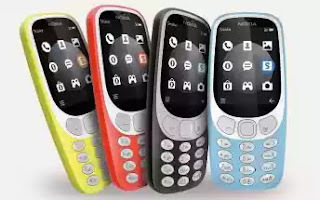 The Nokia 3310 3G will be offered in various colors i.e. Azure, Yellow, Warm Red or Charcoal, it has Removable Li-Ion 1200 mAh battery, Internal memory of 64 MB (#lol). It will be in market as from mid-October.